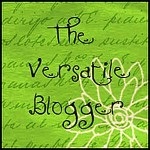 Several of my readers have been kind enough to nominate me for the Versatile Blogger award in the past few months. Many thanks to my blogging buddies, Chris9911, How The Cookie Crumbles, and RVingGirl (who unfortunately seems to have stopped blogging). 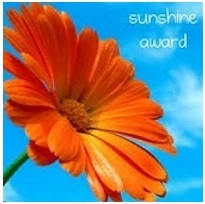 And just a couple of days ago, Fear No Weebles kindly offered me the Sunshine Award and/or the Beautiful Blogger Award. I modestly chose both. ‘Cause I like getting awards – I tuck them into my file of nice things people have said about me and take them out to enjoy them later. It’s a small file, granted, but it’s great for when I need a warm fuzzy or two. List 7 – 10 things about yourself. 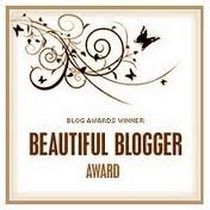 Pass this award to 7- 15 recently discovered blogs and let them know that you included them in your blog post. For the sake of efficiency (which I prefer to the probably-more-accurate descriptor: “laziness”), I’m rolling all my obligations into this post – hope the blogging police don’t catch me. In my last post I showed you one of my oil paintings, so this time, I’m going to inflict my piano-playing on you. Don’t say I didn’t warn you. Here it is. I’ve worked as a church organist, gas jockey, camp counsellor, teacher, receptionist, bookkeeper, interior designer, draftsperson, construction project manager, computer geek, tech writer, Microsoft Office instructor, and author, in that order. I’ve been an entrepreneur for so long (23 years), I’m pretty much unemployable. In various adventures, I’ve been kicked, punched, cut, burned, and run over by a motorcycle. A strong man has crushed my skin with pliers, and I have scars on my hand from the time I tangled with a 250-lb steroid-fuelled bodybuilder. This might make you think I’ve led a dangerous, violent life. I haven’t. All those things were done unintentionally, most of them by my friends during sporting events or back-yard car tinkering. But it makes me sound like a badass if I don’t mention that part, right? I’m just under 5’-10” barefoot. Sometimes for giggles, I go into the shoe store and walk around in six-inch platform stilettos just to see the expressions on people’s faces. Voila. Yes, that shelf beside my elbow is about four and a half feet tall. Which leads me to: I am not photogenic (obviously). I have a gift for twisting my face into an utterly asinine expression at the precise instant the camera clicks. That’s my story, and I’m sticking to it. I prefer to think I don’t look like that all the time. I always swore I’d never write fiction. Oops. My bad. My excuse is under “Are you writing about yourself, you pathetic narcissist?” on the FAQ page. And now for the fun part. I follow tons of blogs. My all-time favourites are in the Blogroll to the right, and I’m always adding more. I don’t take orders very well, so I’m going play fast and loose with requirement #3. I’d like to name a few bloggers I’ve discovered recently and offer them any or all of the above awards (I’ll let them choose). Recipients, if you’ve already received these or if you don’t feel like playing, please accept this as a compliment and feel free to ignore the conditions of the award(s). Nigel Blackwell usually blogs about anything that drives, flies and/or crashes, in witty posts full of fascinating behind-the-scenes detail. And every now and then he goes off the reservation with hilarious essays about such disparate topics as socks or “write-only” memory. You just can’t lose with Nigel. If you love blues (and music in general) as much as I do, Longshot’s Blog has wonderful retro classics. Harper Faulkner is always funny and/or thought-provoking. Don’t miss him – it’s worth the visit. Carrie Rubin’s off-the-wall blog, The Write Transition, makes me laugh. She’s an author with a book being released this fall, so I hope you’ll go and give her some blog love. Pat Bean is a wandering blogger who’s been on the road in an RV for the last 5 years with a pooch for a companion. It’s a fascinating chronicle if you’re into travelling the back roads. Lisa Clark writes The Big Sheep Blog, “Where Imagination, Business and Life Collide”, and an online magazine for 50+ women called The Ripe Report. Lisa’s always got something interesting to say, so check her out. And of course, don’t forget to visit my generous award-givers: Chris9911, How The Cookie Crumbles, and Fear No Weebles (love that name!). Note to all my blogging buddies: If it looks like I unsubscribed from your blog this week, I didn’t – at least not intentionally. WordPress changed their defaults to automatically subscribe to comments every time I comment on a blog, and I got buried under email. When I unsubscribed from comments, I did it wrong, and unsubscribed from the blogs, too. Grrr. Have no fear, I’m still following you – I aggregate everything via RSS feed. But you might see me doing some weird stuff with follows/subscriptions for a while. Sorry about that. It is 1:00 a.m. and I just finished Spy Spy Away and must tell you this is the best yet. I could not put it down. I don’t remember how I came upon Aydan books, but can’t stop reading them. I will be sorry when I’ve read them all, so far. Which character is my favorite? Probably John. I’m 75 and he get my juices flowing. Keep up the good writing. As far as stars go, in my opinion one through five were 5 stars, #6 was 4 stars, and #7 more than 5 stars if possible. I have a bone to pick with Word Press, for some reason it’s not registering that I’m following your blog, even though I am. Consequently, I just discovered that I’ve missed several of your latest blog posts. Sorry!! Meanwhile you totally are badass. Anyone who can work shoes like that is badass in my book. Yes, someday the fashion police are going to take me down for wearing that fanny pack… but I cling to the hope that it’ll become fashionable some day. It’s just too practical to give up. I almost never wear heels, partly because my husband is already a couple of inches shorter than I am, but mostly because I hate dressing up. But it’s fun to wear them for a few minutes in the store. Man oh man I’ve got to start reading more blogs on wordpress because I didn’t even know about nominating and voting for blogs but Congrats to you on the awards! I do know I don’t like wordpress’s new topic pages. On Music and Entertainment I use to see my blogs along with other peoples, now it just hangs as it states loading. And they seem to be picking and choosing their own favorites to display. So the only ones seeing my blogs is those whom are following me. When I left my comment about the subject matter on the forums I was the only one they removed yet it wasn’t sarcastic only poignant. I thank you for adding me to your blog roll and after reading more of your stuff I’m also adding you to mine. And I hope wordpress changes back the topic pages so we can be seen and see others. Otherwise it makes no sense to write and post our stuff that won’t be viewed. Sometimes i wonder about wordpress and the decisions they make. Congrats again, I very much enjoy your writings. PPS. I wrote that listening to your piano playing and its a long way from “inflicting,” I know inflicting, I’ve done it a few times, and your not. Your picture does remind me why I don’t wear heels, I hate having to bend down to the bottom shelf. Oh yeah, and I get strange looks. I just did 11 questions on my site, so I’ll give you just one thing I am pretty sure you don’t know about me. When I was at high school I was part of a punk band. We called ourselves the Embarrassing Stains (pronounced em-brassing) and predictably we performed in bin liners – and badly at that. Well, ok, I was bad, the other guys weren’t that bad at all, but you know, it only takes one to ruin everything. PS. Yeah, I’m suffering the the WP comment problem, too. Aw, come on, Nigel, I bet you were great in the band! Did you play an instrument or sing? Or both? Are there any incriminating videos/recordings I should know about? Well done on receiving your awards again, Diane! I’ve just watched you playing the piano, and you play really well – you put my wooden block playing skills to shame, I can tell you! I tried to like you on You Tube, but I’ve forgotten my password and you can’t like without it apparently. I’d also forgotten which email address I used when I registered with You Tube, so I couldn’t get a new password to log in and then get to like you. And then, I tried to register a new You Tube account, and the Captcha thingy wouldn’t work. So, please take this comment as an extra like on your You Tube clip. Now, when you go into the show store and walk round in extremely high heels, are they high heels you find in the shop, or do you just walk around the shop in a pair of your own high heels? I think you would get some really good looks if you walked into the shop and changed into a pair of your own shoes! Sorry – that You Tube thing has affected my mind. Good to hear your step-mom is doing well too! Ack! Told you my mind’s affected. The show store is shoe store said with a slight accent. The shoes are definitely ones from the shop – I don’t own anything that high. My husband is 2 1/2 inches shorter than I am, so an extra six inches would make conversation difficult at best… and I can’t bear to walk in them for more than a few minutes. I’m a dedicated fan of comfy, cushy running shoes. Hey, I’m 5’9″– I’m going to have to try that platform stiletto thing. Of course, with my luck I fall off and break my neck, and wouldn’t THAT get me some looks. Oh, and is it bad that when I saw that you’re an organist, my first thought was “which organ”? I know. I’m bad. You and me, we gotta go strut our stuff. The key is to find the trashiest-looking shoes possible (note my leopard-print stiletto booties). It was a toss-up between those and the turquoise suede peep-toe stilettos with the feathers and sequins, but the animal print was more my style. Organ… *snickers* I knew I could count on you. Note I didn’t say “organ player”. “Organist” seemed a little less likely to invoke mental images of the skin flute… for most people, anyway. Wow! Is there nothing you can’t do? Thanks, but I didn’t post the second picture for #6. I had it all set up ready to go, but my ego kicked in and I chickened out at the last minute. My expression in that photo was truly horrifying. Diane, congrats on these much deserved awards and I’m honored to be among such esteemed company – thank you for thinking of me!